Today, many clinicians are learning that experiential, action methods of change are the treatment of choice when working with people with PTSD and other trauma-related mental health problems in life. Research on the neurobiology of trauma and attachment shows that experiential, body-based methods are the most powerful tools that exist in psychotherapy and education at this time. Clients and seekers of self-growth share that action methods help them express long-hidden talents, feelings, and dreams. Every clinician, who works with trauma, has the goal of creating a place of safety and containment. With the practice of action therapy, this objective becomes even more crucial. Action therapy is a powerful tool that can trigger unprocessed material in survivors of trauma, resulting in flashbacks and decompensation. Until now, there has not been an overall guide to help prevent these dangerous “side effects” of experiential methods. 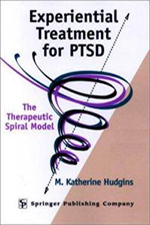 Now, there is the Therapeutic Spiral Model to treat trauma. The Therapeutic Spiral Model was developed by Board Certified Psychodrama Trainers, Educators and Practitioners of Psychodrama, Sociometry, and Group Psychotherapy— Kate Hudgins, Ph.D., and Francesca Toscani, M.Ed. TEP. TSM is an integration of classical psychodrama, attachment theory and recent advances in interpersonal neuroiobology and trauma theory to provide additional safety and structure when working with trauma. Kate Hudgins, Ph.D., TEP, is an inspirational leader and a stellar trainer known worldwide for her innovative model of safe and effective trauma treatment. 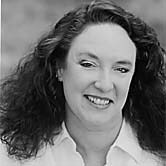 Recognized as an international expert and author on trauma, Kate brings rigorous clinical training in psychology, psychodrama, and experiential psychotherapy as well as cross-cultural and indigenous learning and her own life experience. 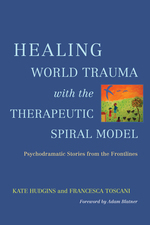 Along with Francesca Toscani, M.Ed., TEP, Dr. Kate has developed, refined, and taught the Therapeutic Spiral Model, the healing method for survivors of trauma, in 35 countries and counting. She has been an experiential psychotherapist and trainer for more than 40 years, bringing spontaneity, creativity and healing to people who have experienced trauma in many settings. Dr. Kate is well known for her work in Asia for the past 17 years where she has successful trained the staff of the first mental health center at Hua Qiao University in Xiamen, China and built several Action Healing Teams in Taiwan. She has brought TSM to 35 countries and is scheduled to teach in Europe next year in Norway, Sweden, and Spain. She maintains a West Coast Training group in San Francisco and an East Coast Training group in Philadelphia in the USA, while still maintaining a busy international schedule. Due to the expansion of TSM, 100’s of people have become certified through the TSI International Certification Training Program in Trauma Therapy around the world. Therapeutic Spiral International is a small, private LLC based in the United States, that has a larger-than-expected real world impact on trauma work at therapeutic and structural levels of change around the world. In our grassroots organization, we are a loosely formed collective of experts, who work with trauma in various fields using the Therapeutic Spiral Model (TSM). Over 25 years, TSI has partnered with individuals, groups, organizations, NGOs, universities, and businesses to promote international training of trauma workers across cultures and languages. TSI has offered its International Certification Training Program in Trauma Therapy for the past 20 years and has certified thousands of practitioners and trainers at four levels using the Therapeutic Spiral Model: Trained Auxiliary Ego (TAE), Assistant Leader (AL), Team Leader (TL) and Trainer. Together, these roles make up the Action Healing Teams that staff all of the TSI workshops worldwide. On this website, we now offer introductions to some of our active worldwide trainers and eventually hope to have a listing of TSM trained practitioners and educators. Global health represents an integration of multi-causal problems, and as such, it must be considered by a diverse set of professions and humanitarian actors. Disasters of nature as well as of war and conflict are exacerbated by sustainability issues, lack of resources, poverty, and illness. 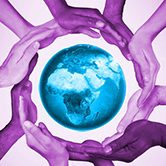 Problems of global health will never be solved by healthcare professionals alone. Political science, agriculture, engineering, military intervention, and policy experts are needed as well. Why Global Health Matters aims to address multiple global health issues in multiple regions of the world from multiple perspectives. Admittedly, it’s an ambitious effort – but when tackling global crises, it would be a mistake to expect anything else. 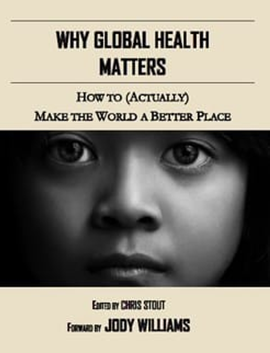 Why Global Health Matters is divided into four sections: backgrounds and trends, approaches and clinical solutions, approaches and structural solutions, and sustainability. Whether you’re an academic looking for classroom material, a policymaker researching an issue, or a boots-on-the-ground humanitarian, there is something in this book for you. Readers should use the table of contents to find the chapters they are most interested in, but should also explore chapters they might not otherwise be personally drawn to – oftentimes an unexpected perspective or an unanticipated voice is the most eye-opening. The hope is that this book will both inspire new projects and improve existing ones, and that readers will not only be informed by this book but motivated by it. Buy the book here. Kate Hudgins and Francesca Toscani provides the ways in which the TSM model has been used with diverse populations, and in different languages and cultures, in chapters contributed by experienced practitioners from the USA, the UK, Canada, Australia, South Africa and Taiwan. 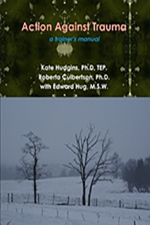 Kate Hudgins and Roberta Culbertson discuss how they teach leaders of traumatized communities to manage post-traumatic stress in group decision-making with additional information about neurobiology from Edward Hug. 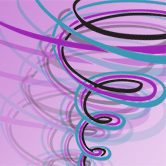 Kate provides a step-by-step guide for using The Therapeutic Spiral Model safely. She first explains the theoretical foundations of TSM, research and theories on trauma, and experiential psychotherapy as a basis for understanding its development. 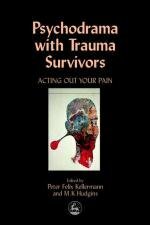 Dr. Kate Hudgins and Peter Felix Kellermann provide persuasive evidence of how psychodrama can safely be used to create paths of change for even the most severe traumatization and discuss the possible transmission of trauma patterns across generations. 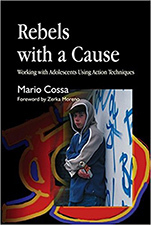 Rebels with a Cause is a comprehensive guide to working with adolescents using action techniques and drama therapy. Drawing on years of experience working with adolescents and of training practitioners in the field, Cossa provides a tried-and-tested model for working with adolescents in groups. Utilizing techniques found in psychodrama, sociodrama, drama therapy and sociometry, Cossa offers step-by-step practical guidelines on running a group development program and summarizes the supporting theory in easy-to-understand language. Psychodrama and other action methods are especially helpful in the treatment of the classic eating disorders as well as dieting struggles, body dissatisfaction and associated issues of fear, sadness, silence and shame. This book provides clinicians with sound theoretical information, practical treatment guidelines and a wealth of clinically-tested action structures and interventions. Show and Tell Psychodrama demonstrates to professionals how they can enhance and enliven their practices of psychotherapy, health care, law, education, business, spiritual growth, community activism, coaching and more. 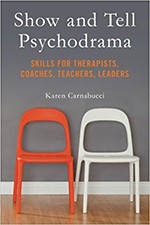 Psychodrama is the powerful interactive method of invigorating your creative potential to meet life challenges and opportunities. It has its roots in the 20th century and has rapidly spread around the world, continuing to blossom with innovation and inspiration. Want to Learn More About the Therapeutic Spiral Model?